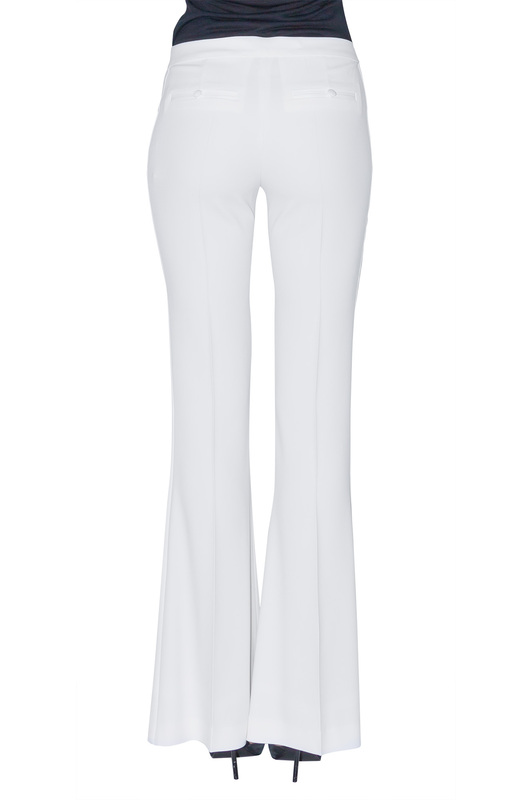 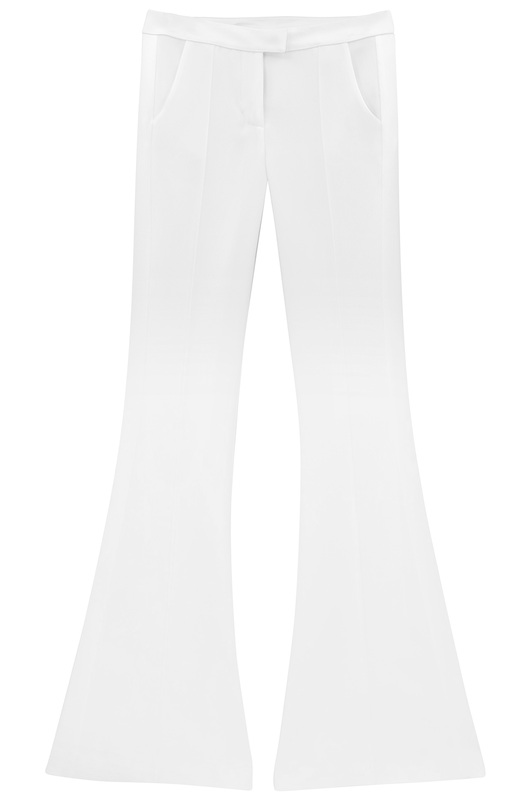 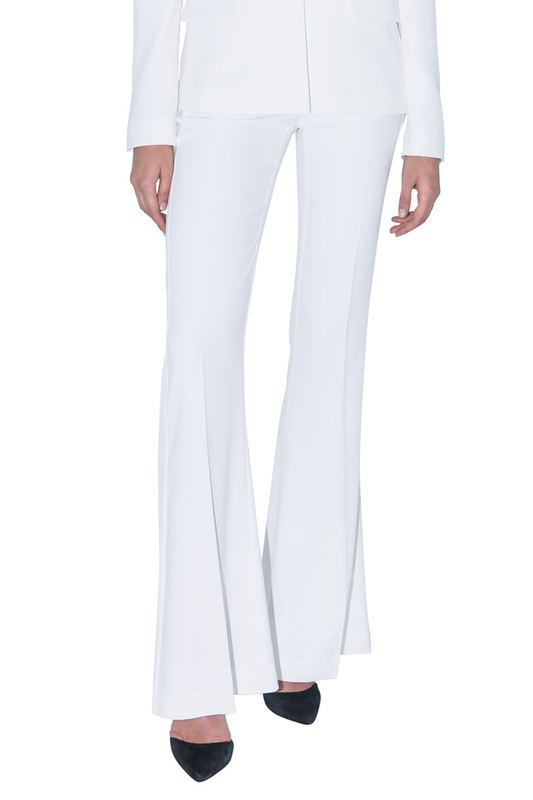 These intricately cut, soft white satin trousers are the perfect Parisian tuxedo pants. 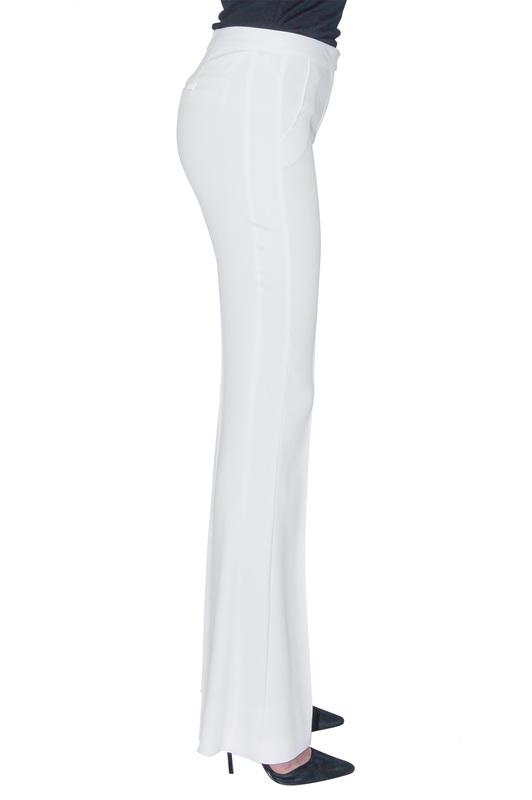 They will elegantly reshape your figure, and the fine satin strips along the side of each leg will slim and lengthen your silhouette. 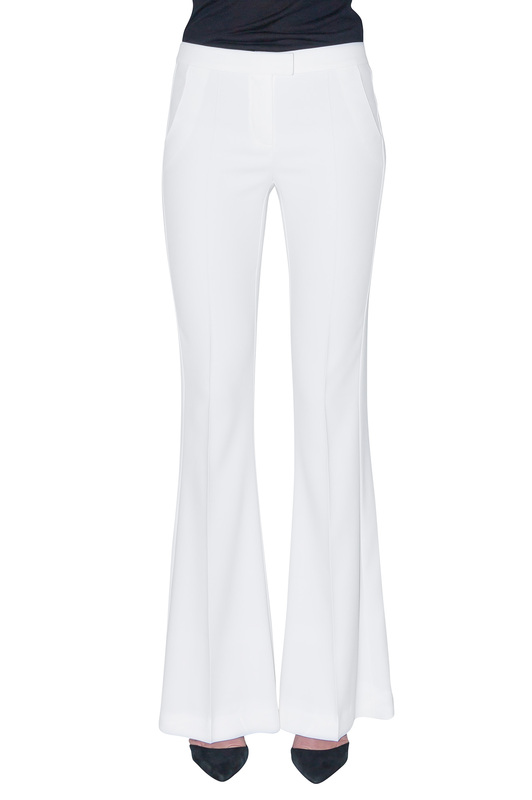 Wear them with their matching tuxedo jacket or a bright tee shirt.